There is a lot of hype surrounding artificial intelligence technology at the moment. And it may be warranted. Amazon’s Echo sales are on the rise and the first generation of Google Home speakers will ship Friday. But as Brian Feldman from New York Magazine points out, most of us had our first experience with artificial intelligence 20 years ago. And we hated it. Remember Clippy? Clippy was Microsoft Office’s intelligence user interface in the form of a paper clip cartoon character. It was meant to help users navigate Microsoft Office and perform tasks. The problem was, Clippy offered too much help whether you wanted it or not. There was no way to turn him off. But even adding that feature didn’t help. Universally reviled by both users and Microsoft employees, Microsoft’s assistant disappeared in 2001. But just ten years later, Siri was born. Others soon followed. Which is funny considering these new assistants have the same objective as Clippy did back in the 90’s: To provide an answer or perform a task when asked. That objective wasn’t Clippy’s problem, but rather how it went about it. It appeared without being asked or called for. Yes, it is obvious that today’s assistants are far more powerful than the Microsoft Office assistant. But the fact that they sit dormant until we call them is a big change and could be a key reason for the positive user experience we have today. Flawed and ahead of his time, Clippy was the cautionary tale for all other digital assistants that came after him. 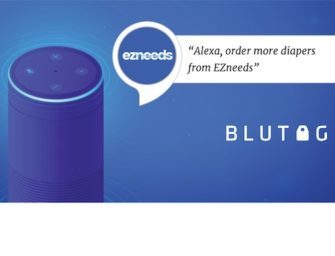 Siri, Cortana and Alexa should thank him.